We at Culture Vannin were privileged to have Brian as a Member of our Board for many years, and to serve alongside him on the Gaelic Broadcasting Committee, Bing Ymskeaylley Gaelgagh. In many ways, Brian’s work reflected that of the charity itself - we may remember him first and foremost for his contribution to the revival of the Manx language, but he was also a fine musician and singer, a writer, teacher, broadcaster and so much more. The brightest of minds and the most generous of spirits, he was a manninagh dooie, a true Manxman. 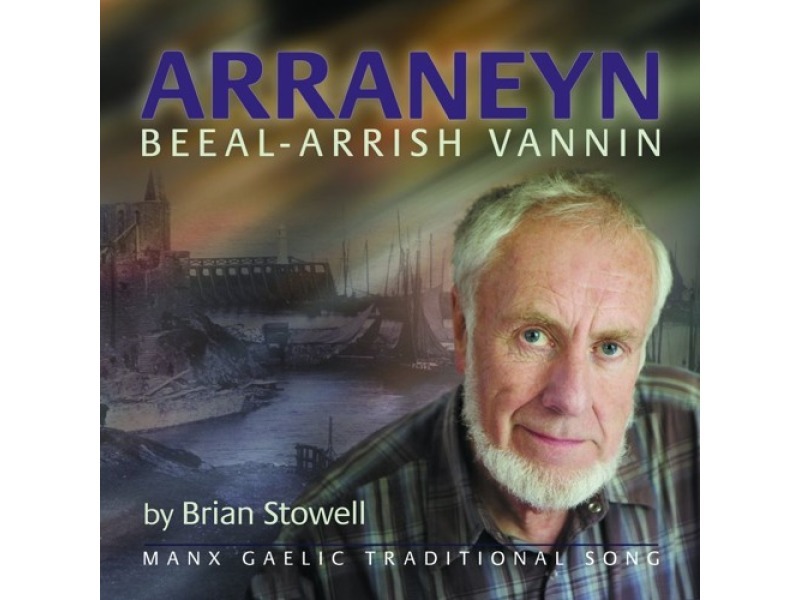 One of the driving forces behind Yn Cheshaght Ghailckagh, the Manx Language Society, Brian learned to speak Manx by going round with a group who were making sound recordings of the native speakers in the middle of the 20th century. We will quite rightly see many tributes which detail his dedication to Manx culture, to his tireless work to ensure the Manx language was accessible to all. Others will mention the joy of his broadcasting on Manx Radio’s Moghrey Jedoonee, a programme where he showcased so much of what is good and interesting about this island and our culture. Brian was one of those rare people who we could genuinely and automatically think of as a national treasure, someone who made an impression on so many people, who talked with passion and knowledge about what was important to a sense of Manxness. What can not be said enough, though, is how he affected so many people’s lives on a one-to-one basis, mentoring them in the language, encouraging, giving confidence and precious time. And all this from someone whose career was mostly spent as a physicist. Brian was someone who wore his learning lightly, whose modesty only engendered deeper respect for his skill, knowledge and talent. We should not forget that Brian was a key figure in the Celtic Congress for decades, organising many events and gatherings, and giving opportunities to young musicians in particular. He was someone who understood the Manx language within its cultural context, and within a wider Celtic world. Tributes have already come in from other language communities who valued his friendship and his willingness to help. We are fortunate to have recordings of his singing and playing, articles, books and teaching material written by him, translations, and interviews on film. His last act of generosity was to finish work on his autobiography, written in Manx, which will be released later in the year. His work was recognised in 2008 when he was awarded the Reih Bleeaney Vanannan, the Island’s highest cultural honour, and in 2010 with a Tynwald Honour for his outstanding contribution to Manx life. We will remember him for so many reasons, for his tremendous cultural legacy, but most of all as a friend and supporter, as someone who was never afraid to speak up for what he knew to be right. Va shinyn ec Culture Vannin rieau moyrnagh as maynrey dy row Brian ny oltey jeh’n ving ain, as she onnor v’eh dy obbragh marish er Bing Ymskeaylley Gaelgagh rish wheesh dy hraa. Er ram aghtyn, ta currymyn Culture Vannin as yn obbyr yindyssagh ren Brian harrish ny bleeantyn goll rish y cheilley - s’liklee dy vel yn chooid smoo dy leih cooinaghtyn er e obbyr vooar ayns aavioghey yn Ghaelg; agh, mastey reddyn elley, v’eh ny arraneyder, kiaulleyder, screeudeyr, fer-ynsee as creeleyder-radio feer vie myrgeddin. Chammah’s e chreenaght as e hushtey, nee mayd cooinaghtyn er e imleeid as feoiltys cree er son dy bragh. Ren Brian gynsagh Gaelg ayns bleeantyn meanagh yn eedoo cheead tra v’eh goll mygeayrt yn ellan jannoo recoyrtyssyn jeh ny loayreyderyn dooghyssagh as, ny lurg shen, ren eshyn as paart elley cur Yn Çheshaght Ghaelgagh er e toshiaght. Nee ymmodee screeu mysh yn aght v’eh gobbragh dyn scuirr dy hauail ny shenn chliaghtaghyn Manninagh as dy chur ad er nyn doshiaght reesht, as yn aght streeu eh dy frioosagh dy chur caa da sleih aegey ayns Mannin gynsagh nyn glare ghooghyssagh. Nee feallee elley cooinaghtyn er yn aght ghow eh wheesh dy voggey ayns loayrt mysh yn ellan shoh as ooilley e cliaghtaghyn er claare Radio Vannin, Moghrey Jedoonee, dagh shiaghtin. She Manninagh dooie va Brian, fer jeh’n earroo feer veg shen dy leih va shin ooilley smooinaghtyn er myr tashtey ashoonagh, v’eh ny charrey firrinagh dooin ooilley.